It’s important to note that animals in the Least Concern category are still of concern and should not be ignored, but the threats facing animals in the other categories are currently causing more pressures. The Red List rating scale is often referred to as a “barometer of life”, with each category indicating the amount of pressure on a species pushing it closer toward extinction. Hosting a Red Listing workshop for the amphibians in Honduras was an exciting and extremely intense process. Of all the countries in Central America, Honduras has the highest number of amphibians that are endemic – or found only in that country, which makes it a very important area for biodiversity. Unfortunately, Honduras doesn’t receive a lot of conservation attention and many of these amphibians are facing the threat of extinction. The Detroit Zoological Society was eager to help this underappreciated hot spot for biodiversity move forward toward understanding the conservation needs of its unique amphibians. This IUCN assessment of amphibians was the first assessment of all amphibian species in Honduras for more than 15 years, and since the last assessment, 22 new amphibian species were discovered in the country. 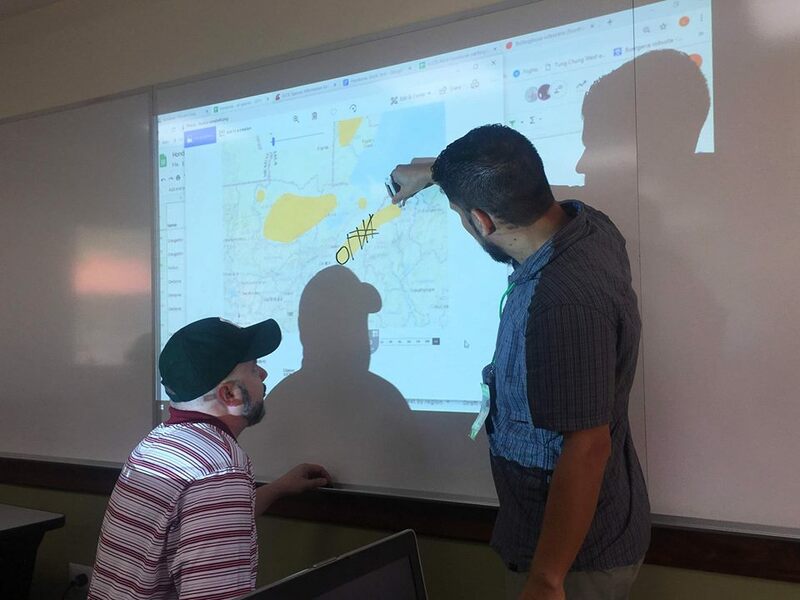 To assess the animals, the local Honduran amphibian experts were brought together at Universidad Zamarano outside Tegucigulpa for the workshop. 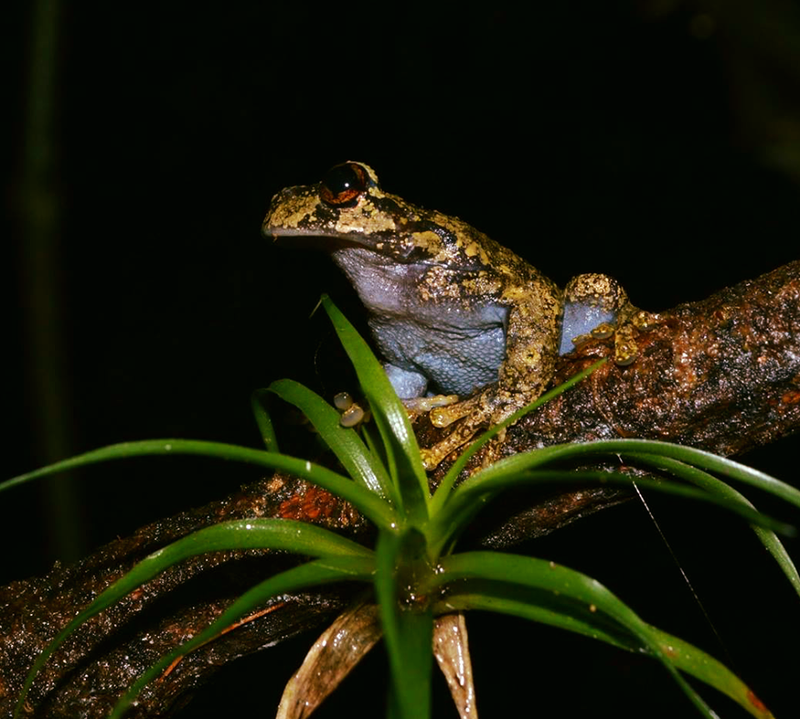 With the help of myself, the IUCN facilitators, and two other amphibian experts from the U.S., we all sat down to share data on the 151 species of amphibians in Honduras and determine their IUCN categories. Holding this assessment in country was critical for the participation of these local experts who had intimate knowledge of the species, and who were able to discuss future steps in protecting species of critical need. We learned a lot through this workshop. Although there were more species assessed in 2019 than in 2002, the overall number of species that are Extinct, Critically Endangered and Endangered all increased. This is especially concerning in this unique area of biodiversity. Because the Red List allows us to assess the specific threats facing the animals, we were able to discuss potential conservation actions needed. At the end of the workshop, a meeting was held with officials from Instituto de Conservaticion Forestal, the governmental institution similar to the U.S. Fish and Wildlife Service, in order to discuss the results of the assessments and what steps could be taken next. 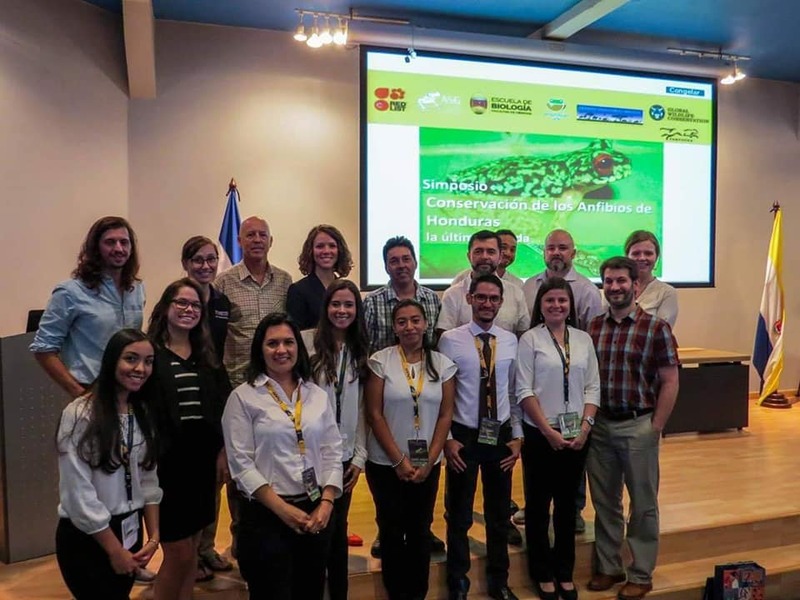 Additionally, we hosted a symposium at the Universidad Nacional Automona de Honduras in Tegucigalpa in order to raise awareness about the IUCN workshop and the state of amphibians in the country. More than 150 individuals attended the symposium, including government officials, researchers and students. It was encouraging to see the excitement within the country, especially in so many young students, for the preservation of amphibians. We will continue to evaluate what we’ve learned from this process and determine the next course of action to save these critical species. – Dr. Ruth Marcec-Greaves is the director of the Detroit Zoo’s National Amphibian Conservation Center.